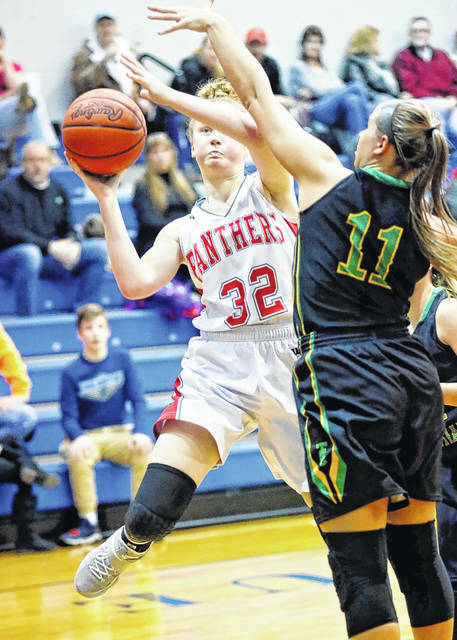 Tri-County North’s Aubrey Stupp scored 16 points in the Panthers first round sectional tournament game on Saturday, Feb. 17, against No. 4 seed Troy Christian. North’s season came to an end with a 46-26 loss. 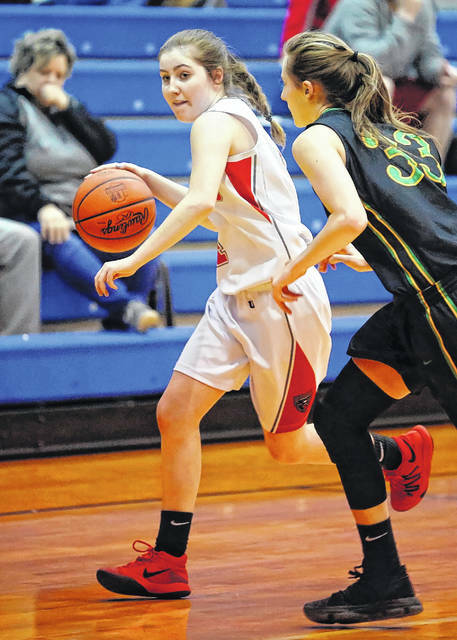 BROOKVILLE — Tri-County North was outscored 30-12 in the second half of the opening round of the Division IV girls sectional basketball tournament by No. 4 seed Troy Christian, eventually falling 46-26. The game was played at Brookville High School. The Panthers held a 6-4 lead after the first quarter and were only down 16-14 at the half. The third quarter proved to be the Panthers undoing. 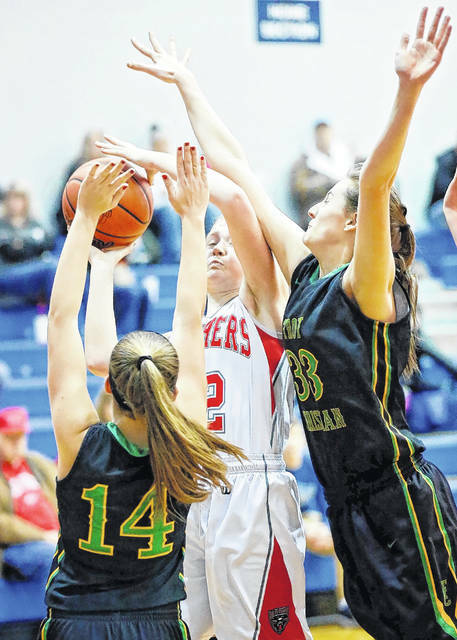 North was outscored 17-6 in the third quarter and was never able to get back into the game. 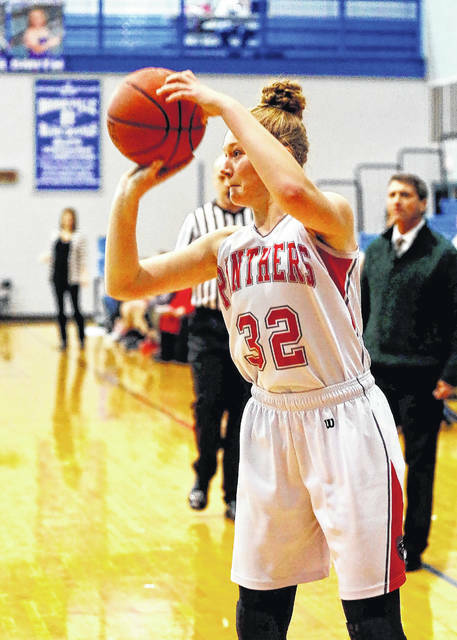 Sophomore Aubrey Stupp paced the Panthers with 16 points. North will lose Megan Poling and Cassi Stinson to graduation. “I would like to wish my seniors the best of the luck and congrats on a good, competitive season,” Spitler said. 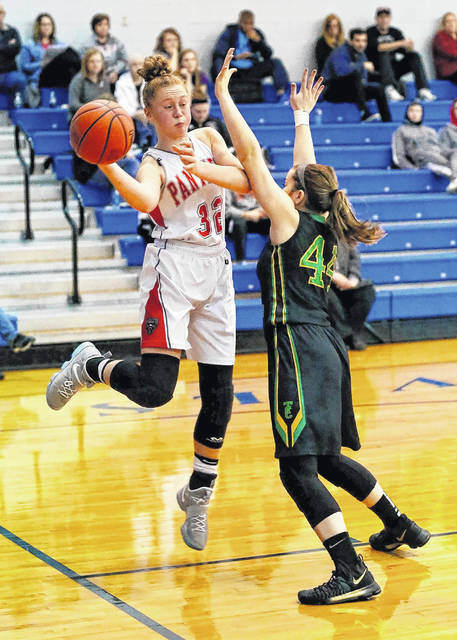 https://www.registerherald.com/wp-content/uploads/sites/41/2018/02/web1_TCN-GBB-VS-TC-1.jpgTri-County North’s Aubrey Stupp scored 16 points in the Panthers first round sectional tournament game on Saturday, Feb. 17, against No. 4 seed Troy Christian. North’s season came to an end with a 46-26 loss.